Strengthen our committment to community outreach programs that enhance diversity, provide educational and service opportunities, and enhance the quality of life of our communities. Eighty-five years ago on October 1, 1931, the LSU School of Medicine welcomed our first class of students. 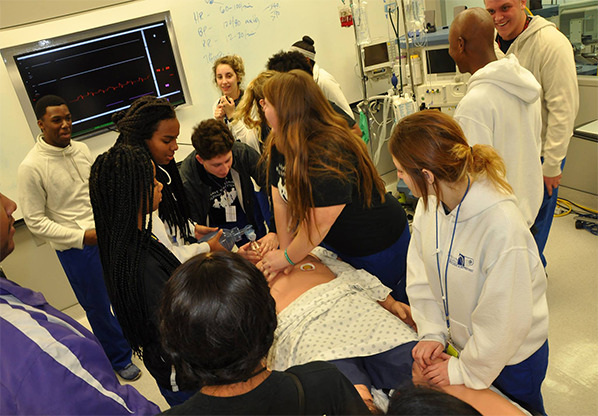 A critical mission of our school then, as it is to this present day, was to address the statewide shortage of physicians in Louisiana and to provide care for the underserved citizens of our state. There is no doubt that the LSU School of Medicine has and will continue to provide the doctors for Louisiana and the best of care to all of the patients we serve. We all have much to be proud of, so please join your fellow classmates and friends by making a special gift in honor of the 85th anniversary. Together we will continue to make strides in life-changing discoveries, lead the way in educating the next generation of physicians, and to offer quality care for our community. If you have questions, please call 504-568-5717.